Intellectual Property Law | Hao Law P.C. Intellectual property law is one of the hottest and fastest-changing areas of laws in recent years. With China’s economic growth, there are more and more disputes in IP rights between American and Chinese companies. With strong technical background and broad connections in both China and the U.S., we provide legal services to protect our client’s IP rights and to solve the disputes. 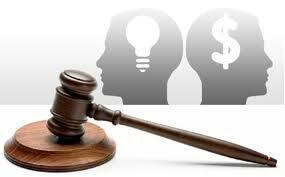 Patent prosecution is one of the first and most important steps to protect one’s inventions and subsequent patent rights. We the following services based on the requirement of the clients. (1) Preparation of the patent application. Depending on the client’s needs, we can either review, revise or translate client’s patent application. Alternatively, we can draft a complete patent application from scratch when the client provides an invention disclosure, After the client reviews and approves the patent application, we file the application to the USPTO. We notify the client any substantial progress of the application in due course. During the review period, we respond to the Office Actions by advocating for allowance of the patent application with the broadest coverage the invention is entitled to. Once the USPTO allows the application and subsequently issue a patent, we represent the client in the allowance and issuance procedures and file all necessary paperwork. We assist the clients in negotiating, drafting, reviewing, and enforcing license agreements covering different aspects of intellectual property. We are involved in working with companies to generate standard license agreements, as well as custom agreements. Specifically, we can help foreign companies to get license from the U.S. patent holders to avoid potential patent infringement and other disputes in the future. An international patent application (also called PCT application) has two phases. The first phase is the international phase in which patent protection is pending under a single patent application filed with the patent office of a contracting state of the PCT. The second phase is the national and regional phase which follows the international phase in which rights are continued by filing necessary documents with the patent offices of separate contracting states of the PCT. We have significant experience in the national phases in China. We provide services for the patents issued in any other country to enter the national phases in China. These services include translation, revision and response to Office Actions of the State Intellectual Property Office of China. Currently we do not provide full service of IP litigation, but we have experience in providing litigation support for companies who plan to raise the suit in China or the U.S. courts. In collaboration with top law firms in China, we provide services in due diligence investigation, deposition, and interrogatory of IP infringement suits.